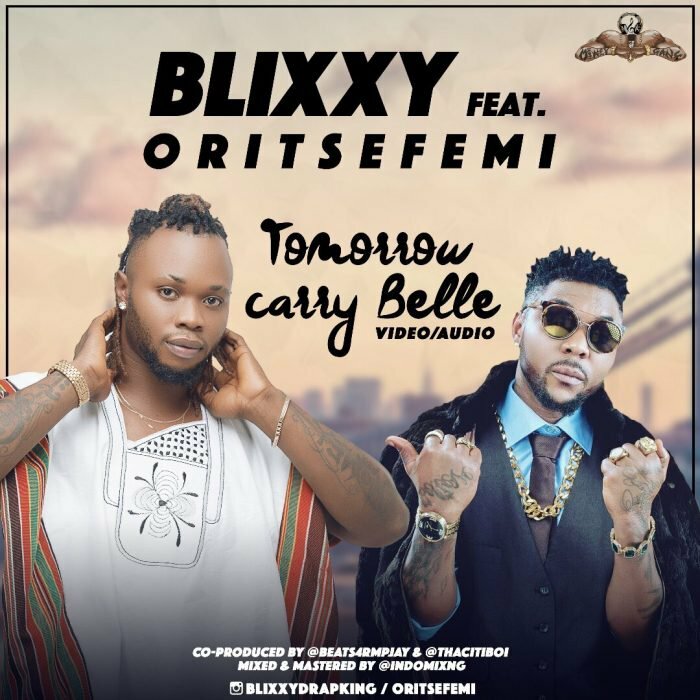 Blixxy, the Magodo Boi, #SelfBelief advocate and MGang Records frontline artiste drops another trailblazing hit track “Tomorrow carry Belle”, in which he featured the MSN Gang musical taliban, Oritsefemi. The track is Blixxy’s message to the streets. It was produced by PJay also mixed and Mastered by Indomix. The video, a SQUAREBALL production, directed by Adasa Cookey, showcases the raw feel of the streets, the pain of the young hustler in this new era of the of the entrepreneur, with emphasis on the rewards of hard work. Its a brilliant interpretation of the song, portraying the very real struggles of the this generation. The video is a must watch for all young upstarts, entrepreneurs, and street hustlers who dare to dream, because tomorrow is indeed pregnant with limitless possibilities aka “Tomorrow Carry Belle”.